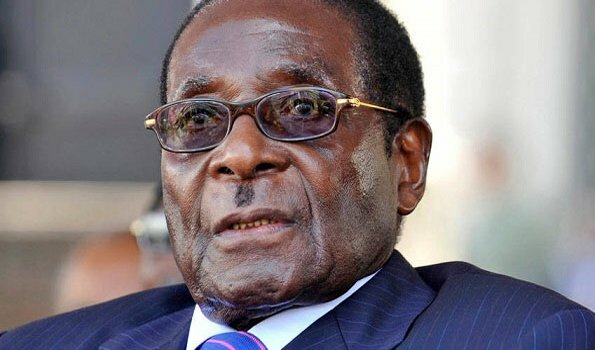 Former president of Zimbabwe Robert Mugabe has reportedly denied reports that he rejected an invitation from President Emmerson Mnangagwa to attend this year’s Zimbabwe’ s Independence celebrations. Zimbabwe celebrated its 38th independence anniversary on April 18 in Harare. The event was attended by a number of dignitaries, including diplomats and opposition party leaders. Zimbabwe’s Presidential spokesperson George Charamba said that Mugabe had been officially invited to the celebrations, which were the first without him as the leader of the southern African country but he did not show up. Charamba, who also served as Mugabe’s spokesperson for decades until the 94-year-old was forced to resign last year following a military intervention, said at the time that the veteran politician should be left alone as he needed to rest since he had just returned from the Far East. But according to a NewsDay report on Tuesday, Mugabe refuted the claims, saying that he was never invited to attend the independence celebrations. “I definitely was not invited to it (independence celebrations)… This should put paid to all the comments that [George] Charamba had to make on this matter,” Mugabe was quoted as saying. Mugabe in February also reportedly rejected a mini-birthday party that had been organised for him by the Zanu-PF youth league to mark his 94th birthday. He instead chose to stay away from the public eye on a day set aside as a holiday to honour his legacy. Sources close to him said at the time that the veteran politician refused to be part of the event because he wanted to be with his family. “He wants to be with his family and those who love him genuinely and not those who want to abuse his name for political gains,” a close family member told local Zimbabwean news outlets.